Resilience Lift Ultra Firming Eye Creme, .24 oz, Resilience Lift Extreme Ultra Firming Creme SPF 15, .24 oz., and a Tender Blush with Brush. Yours with any $50 Estee Lauder purchase. For free shipping, enter promo code LAUDERODS at checkout. 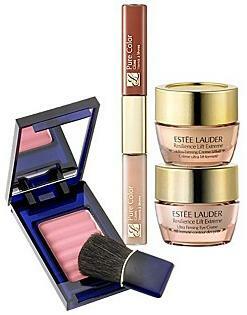 You will be prompted to add the sample offer at checkout if your total order equals $50 of Estee Lauder items. One offer per customer. Online at macys.com only. While supplies last. Thats a really good deal. Thanks for pointing it out ! I love the freebies they offer - my daughter managed to ruin a whole palette of eyeshadow that I had so I am off on the hunt for more. If you were going to buy a golf club, you wouldn't walk into a store and buy the first one you see, would you? Of course not; especially if you want to improve your golf game! You'll want to hold the club, take some practice swings, hit some balls if the store has a practice spot, and look at the price, of course. If you are considering buying running shoes, you need to go through a similar process and take the time to find the perfect shoe.